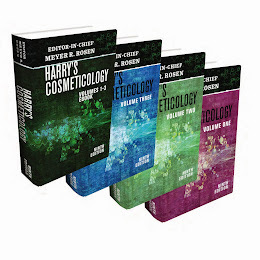 Shampoos, Carrie Shipley, Grain Processing, Harry's Cosmeticology 9th Ed. Carrie Shipley is an Applications Scientist with Grain Processing Corporation located in Muscatine, Iowa. She has been with the company for 10 years and focuses on new formulations, customer education and assists in the development of new products primarily for the personal care and pharmaceutical industries. Carrie holds degrees in Biotechnology and Chemistry from the University of Northern Iowa, Cedar Falls, Iowa. Hair Structure and Function, Manuel Gamez-Garcia, Ashland Specialty Ingredients, Harry's Cosmeticology 9th Ed. Manuel Gamez-Garcia received his Master's degree in Electrochemistry from the Tokyo Institute of Technology in Japan, and his PhD in Engineering Physics in the field of Polymers from Montreal University (Ecole Polytechnique) in Canada. He worked two years for Pirelli Corporation in the field of physical and chemical properties of polymers. Since then he has held the positions of Manager of Claim Substantiation at Croda, Inc., Applications Manager Personal Care at Dow Chemical Co/Amerchol Corporation, Hair Care Manager for Firmenich, Inc., Senior Research Scientist at Ciba, Group Leader Hair Care R&D at BASF, and currently he is a Research Fellow at Ashland Specialty Ingredients. Dr. Gamez-Garcia is the author of numerous publications on hair physical properties, hair damage, hair conditioning, and delivery of actives from shampoos. In 2000, he received the Society of Cosmetic Chemists Award for the best published paper and in 2011 he received the prestigious Shaw Mudge award for his work on hair straightening and heat damage. Anti-Aging, Linda Walker, Covalence Laboratories, Harry's Cosmeticology 9th ed. *Have been involved in the invention and granting of 4 patents with additional patents still pending. *Have written or contributed to number of articles on anti-aging ingredients for CGI and C&T magazines. *Included in "Ten to Know", GCI, Jan. 2010. Skin care ingredients are a passion that includes three areas of endeavor. First, to keep searching the world for interesting (sustainable) ingredients that can positively impact all skin issues. Second, to participate in the development of new high-tech ingredients for aging skin. And third, to provide tools to skin professionals that can help them gain a sense of power and order around the massive amounts of skin care ingredients they're confronted with. Anti Aging Section, Nadine Pernodet, Ed Pelle, Estee Lauder Company, Harry's Cosmeticology 9th Ed. Dr. Nadine Pernodet currently holds the position of Executive Director, Global Research & Development- Skin Biology, for Estée Lauder Companies, Inc.
Dr. Pernodet is a key member of the team responsible for research, developing and testing future technology for all global skincare products. She has been actively involved in the field of scientific research for more than ten years, recently holding the position of Assistant Professor at the State University of New York at Stony Brook. Prior to that, she was a Research Scientist. 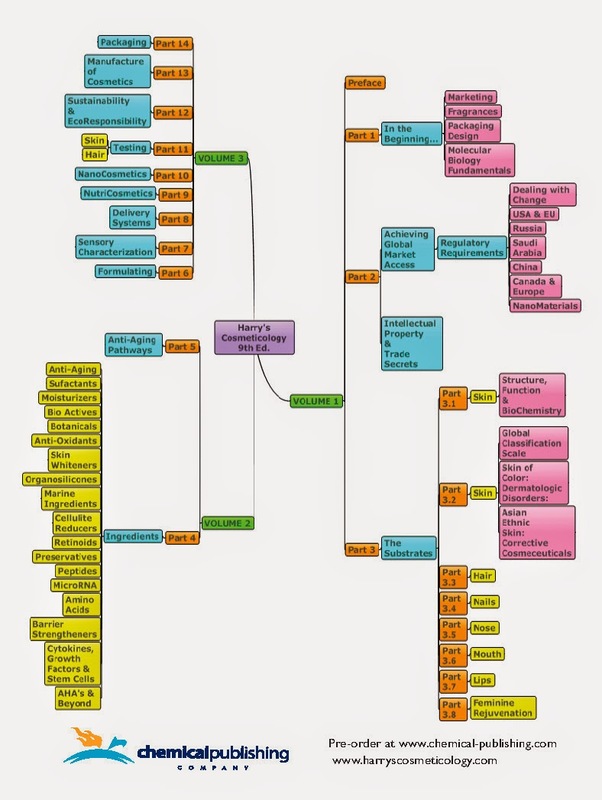 In addition to publishing numerous articles, she is the holder of key patents and the recipient of three grants relating to important works in her field with the NSF and the NIH. Her unique approach to the science of skincare is to combine her extensive knowledge and background in Biophysics and Biology to better understand skin aging. As well, she has been at the forefront of the research in Epigenetics with Clock genes and Sirtuins research. Dr. Pernodet also continues her strong relationship with academia. Dr. Pernodet graduated with a Chemistry degree from Franche-Comte University in Besancon, France and obtained a BS and MS in Physical Chemistry from Louis Pasteur University in Strasbourg, France. She received her Ph.D. in Physical Chemistry from the Institut Charles Sadron/Louis Pasteur University and has spent 6 years in research with the Biomedical and Chemical Engineering Programs in Stony Brook before joining as Assistant Professor in Materials Science and Engineering Department. Originally from France, Dr. Pernodet currently resides in Long Island, New York. Edward Pelle is a Director in the Skin Biology Laboratory in the R&D Department of the Estee Lauder Companies. In this lab the structure and function of skin is studied leading to more effective skin care products. Dr. Pelle has studied the effects of environmental stressors, such as UV, ozone, and cigarette smoke on epidermal and dermal cells. Understanding how to protect skin against various types of environmental trauma by the use of antioxidants and inhibitors of reactive oxygen species has been a goal for over twenty years. Delineating the differences between endogenous aging and photo aging and the role that epigenetics plays in this process and its relation to oxidative mechanisms is a more current objective in his work. Dr. Pelle is also an Adjunct Assistant Professor in Environmental Medicine, New York University School of Medicine where he has collaborated on several projects with other faculty and contributes a lecture in the Transcription and Signaling Class given by the department at the graduate level. He has also worked on RNA processing at Rockefeller University and done research in hematology at New York University Medical Center. He received a BS from Fordham University, and an MS and Ph.D. from New York University. He has authored or co-authored over thirty peer-reviewed publications, four review articles, and numerous abstracts. He also holds over fifteen U.S. patents and is listed in the Marquis Who’s Who in Science and Engineering. He is a member of the Society for Investigative Dermatology and the Society for Free Radical Biology and Medicine. 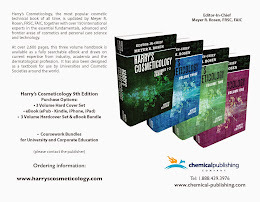 Packaging, Wylie Royce, Royce Associates, Harry's Cosmeticology 9th Ed. Wylie H. Royce is a Managing Director of Royce Associates, founded in 1929 as a Chemical Manufacturer. Today, the company is a leading supplier of colorants and functional additives for Food, Drug, Cosmetic and Personal Care packaging. The company offers Customer Assistance and Training in obtaining approvals required by various agencies in the US and Western Europe and Latin America. Royce has manufacturing sites in NJ and NC, and a Technical Center in Tianjin China as well as manufacturing partners in India, China, Thailand, and Korea. Royce’s six Divisions serve the Personal Care, Cosmetic, Paper, Textile, Aerospace, Plastic Colorant, Functional Additives, Food Packaging, House wares, Synthetic Rubber, and Construction Industries. Mr. Royce is Chairman of a number of influential decision making industry groups including: the Society of Plastics Industries (SPI) “Color and Additive Products Subcommittee” (Food Drug and Cosmetic Packaging Materials Committee)and SPI’s Communication and Marketing Advisory Committee. He also serves as a National Board member of the SPI and as Treasurer of the SPI’s Food, Drug, & Cosmetic Packaging Materials Committee. Wylie is also a, member of the Health & Beauty America (HBA) Technical Advisory Board and adds his packaging expertise to HBA’s Global Packaging Oriented Expo. He has been named a permanent member of International Who’s Who’ in Business Professionals, Who’s Who among rising Young Americans and Interesting Personalities of America. Wylie regularly speaks on subjects relating to plastics in food, drug and cosmetic packaging, sustainability issues and the effect on products produced in and imported into the US by the changing international business climate. Mr. Royce has authored “Navigating the Turbulent Waters of Global Colorant Regulations”.He holds a US Patent for a proprietary method utilizing electron beam modification of resins to create marbleized colorant effects for injection-molded products..